With up to one third of people not using their hearing aids, the not-for-profit charitable organisation Better Hearing Australia (BHA) is urging older people living in Melbourne to take advantage of its free monthly local consultations. BHA provides advice, information and care to people with long term or acquired hearing problems and sees a diverse range of people. “Some of our service users are simply curious about their hearing levels and want to get a basic hearing test while others have quite severe problems and need advice about the options open to them,” says Michele Barry, National President of BHA. Ms Barry believes some reasons why people don’t use their hearing aids may be because they have been sold hearing aids before they are psychologically ready for them or they haven’t received the proper support to help them use their aids. Research shows hearing loss can have a profound social and emotional impact through an inability to hear and communicate effectively. Because people find it hard to engage, many become isolated and fear speaking in case they make a wrong comment because they’ve not heard the full conversation. Ms Barry highlights unsupported hearing loss can also contribute to cognitive decline and affect a person’s mental health. BHA has helped people like Glenda who lost her hearing after cancer treatment aged 59. "I felt so lucky to have survived cancer, but I really needed support to manage my hearing difficulties,” she says. "Without Better Hearing Australia I would not feel comfortable to take part in the community. BHA helped me adjust to the change and feel confident again." Ms Barry says the organisation has supported many people like Glenda to re-join the community and gain new skills. “We help them navigate through the maze of hearing services and technology to manage hearing conditions,” she adds. BHA will visit a number of suburban areas to provide access to services for as many people as possible throughout Melbourne and Miss Barry encourages people to contact the organisation to find out when they are in the area to book an appointment. · Wyndham Vale – Community Health Centre, 510 Ballan Road, Wyndham Vale. Anyone wishing to arrange an appointment, or to check which days Better Hearing will be in their area, should call Better Hearing Australia (Vic) on 9510 1577 or check the Better Hearing Australia website. BHA also provides help for people with tinnitus and runs the only hearing aid bank in Victoria. 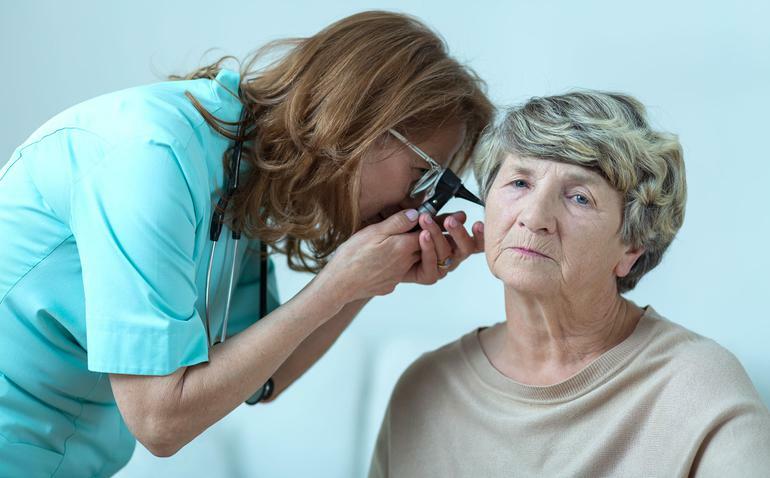 This enables people who need hearing aids but are not eligible for government help, or in a position to manage the cost privately, to be fitted with reconditioned and reprogrammed units, at a very reasonable cost.